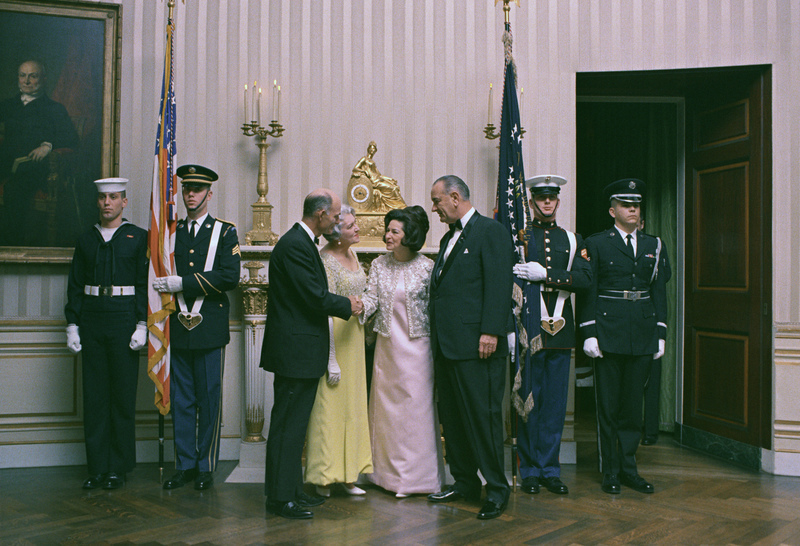 L-R: Governor and Mrs. Paul Johnson are greeted by Lady Bird and President Lyndon Baines Johnson. Governors' Dinner, White House, Washington DC, 3/18/1967. Photo # c4759-14a by Robert Knudsen. White House Photo Office collection, LBJ Presidential Library, public domain.